AT&T and Verizon users who wanted to root their Galaxy S5 or any other android 4.4 based device are up for a treat. Thanks to XDA developer Geohot, ( yes he’s the guy who unlocked the first iPhone and hacked the PS3 ) you can now root almost any of your android 4.4 based devices with a single tap. Geohot has released a free android app called TowelRoot, which exploits a known vulnerability in the Linux kernel ( disclosed by the hacker Pinkie Pie ) to provide root access on most android 4.4. devices. TowelRoot was launched on Sunday night and based on the replies posted to the XDA Developers thread for TowelRoot, we have confirmed it to be working on the following devices. For those who want to root their verizon and AT&T Galaxy S5, S4, Note 3 and other android 4.4 based phones, the following instructions will guide you. Step 1: Head over to Towelroot.com and click on the lambda logo to download the latest version of TowelRoot. Step 2: Copy the Tr.apk file to your android device. 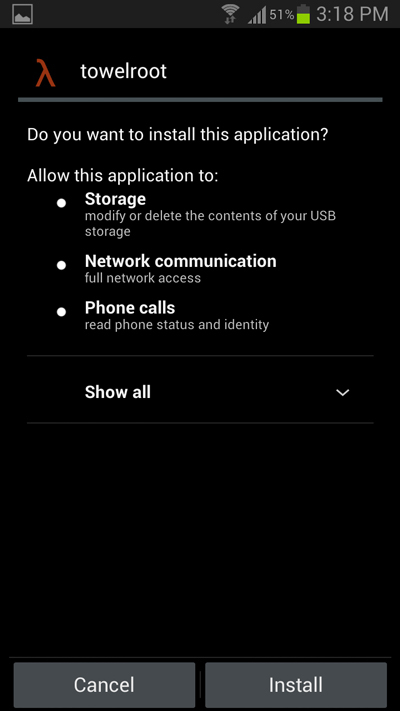 Step 3: Go to your phone’s security settings and make sure your phone can install apps from outside of the Google Play Store. Step 4: Install the Tr.apk file and when it is installed run it. 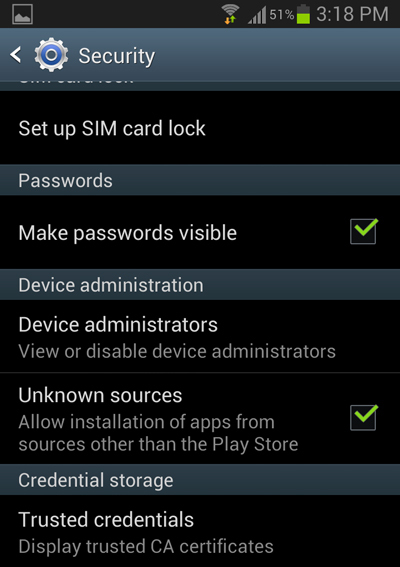 Step 5: Tap on “ Make it Ra1n “ to start the rooting process. If you want to verify if your android device has been rooted or not, head over to the Google play store and download the Root Checker app. The Root Checker app will be able to check whether your phone is rooted or not. Note: There’s no guarantee that TowelRoot will be able to Root all android devices. Last but not the least, you should know that TowelRoot is the result of a $18000 bounty program started by Verizon and AT&T Galaxy S5 users who wanted to get their phone’s rooted. If you have any doubts, the head over to the official XDA Developers thread for TowelRoot.